You just woke up and you find a text on the phone saying that you have to be in another city or country by the end of the day. What do you do, and where do you look for flights on such short notice? You could, of course, turn on your computer, go through all types of official airports and airline sites, call your friends, ask them about the nearest airport, search for flight conditions, and ultimately panic. Or, better yet, you can pick up your iPhone or iPad, and straight from the comfort of your bed, check all these stuff out using a single app. 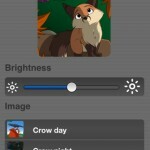 This is FlightHero and you can find it in the AppStore. Are You En Route Yet? Meet ups with friends are fun, but living in a big city can prove to be a hassle when trying to get together, especially when you live some ten miles away from each other and the meet up point is somewhere in the middle. Unless you want to be the first to arrive and wait for the others, you’d better be well prepared and have some knowledge of both your route and your friends’ routes to the meet up point. But what if there was a way to keep track of where you friends are on the route and also let them know where you are. 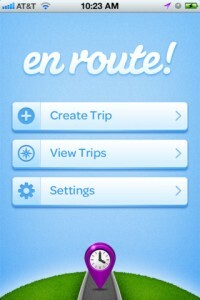 Now you can with En Route! for the iPhone. Click here to get the bite on - Are You En Route Yet? You’ve packed your car for the trip ahead. Some snacks for the road, you’ve got all your family in and you’re ready to be on your way. Only one problem, you’re on a tight budget and you’ve got quite a distance to cover. Gas is expensive, not to mention you’ve never been on that road before so you have no idea where the cheapest gas stations are. Not to worry, just make sure you packed your trusty iPhone with you because for a buck you can get all the gas-related information you need to get you to your destination on time and on budget. 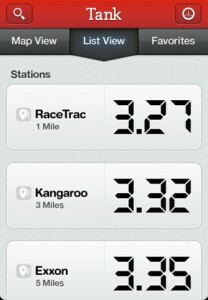 Grab a copy of Tank Pro from the AppStore, place your key in the ignition and turn it. Safely back up from the driveway and away you go, leaving your gas worries behind. Going To Jeju? Be Prepared For The Fun! Jeju, certified by UNESCO as 2010’s Global Geopark, is more than just another one of Korea’s islands. With its Natural World Heritage Site Jeju Volcanic Island and Lava Tubes, Jeju is Korea’s most valuable and beautiful island. 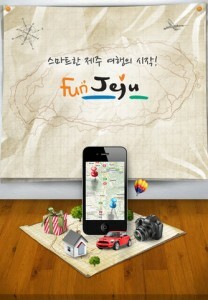 From rugged sea shores to open plains with horses, from mountains, caves, waterfalls and other landscape attractions to fun activities like golfing, submarine tours or pleasure boat rides, FunJeju is the iPhone app to have around when traveling to that part of the world. The app comes in English, Chinese and Korean, although the AppStore screenshots will have you look at the Korean version. Don’t get scared, most of the app’s contents are also available in English, although some areas of FunJeju will need you to speak Korean to access. Click here to get the bite on - Going To Jeju? Be Prepared For The Fun! CoPilot offers quite a few ways to improve navigation with lane assist arrows, Real Signposts, and CoPilot ClearTurn(tm). 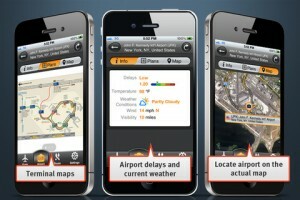 Text-to-speech, day & night mode, drag routing, and alternate routes features successfully aim for usability. 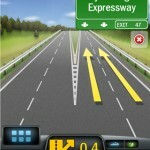 Tired of using the iPhone’s compass and maps apps to get safely to your destination? Me too. When I’m out and about, I occasionally take out my iPhone to pinpoint my location and my destination. Between then and getting to my destination, I take it out almost every other intersection. And that simply won’t do. This week I tried out the new GetMeThere instead. GetMeThere is a neat little app that basically lets you walk with your iPhone out of your pocket, look at the map and walk on the road at the same time. It simply uses a sort of augmented reality to let you see where you’re going through the iPhone’s camera.